Readers Try The Magical Leek Soup… To Great Results! Firsthand accounts from those who dared. You’re not alone! Whatever your fear, whether it’s the taste (your palate will adjust to new flavors), the intimidation factor (you may feel like the leek is an alien ingredient, but it’s no different than any other veggie), relax! It’s time to jump on the leek soup bandwagon, and jumpstart your weight loss. HAPPYCAT: Plan to do quiet things…read, watch DVD and TV, sleep. This ‘weekend’ will really help you move forward in your ‘French’ lifestyle. SNORKLEE: Rest as much as possible! MEEMS: It’s a good start to a changing lifestyle. It’s really not as hard as you might think and don’t worry, look at this as a gourmet experience. Savor every bite & every sip (it takes longer to eat so you feel full quicker). SUECOUS: The leeks and the soup have given me a new taste that I wouldn’t have tried otherwise. SHUBBARD: Day 2 of the Leek Weekend. Day one was a snap. I find that I’m detoxing my mind as much if not more than my body. I always drink lots of water – and found myself on the toilet more than in bed last night. Had I to do this over again, I think I’d stop filling my body with leek broth and water a little earlier in the evening. I actually like this . . . self discipline but I tell you, the only reason I’m successful is the “support” right here in my home [computer]. I was sure glad to see that “empty” pot of leeks and broth! And wow was that dinner good… That is the sensation I have to remember to guide moderation. If I don’t have that sensation then don’t eat. SCATTS: The one thing I can say for sure is that the flavor of leek is now firmly ingrained into my palette!! JAZZY999: The first time I did it I posted just about every hour it seemed! I was apprehensive, too. The second time I did the mimosa soup and it was a lot easier because I knew what to expect. BISTROGLO: I have tried the leek soup several times, and find it to be an effective diuretic. MEEMS: It was a mental exercise, for me, as well as getting my appetite tamed; I became more aware of the fact that I was not REALLY hungry…I just thought I was and this short term leek/broth menu helped me “tune in” to what my stomach was really feeling not what I thought it was feeling. Room temp water (with or without mint, lemon, lime, raspberry or your favorite sliced fruit) and tea helped fill me up, too. MAMAMIA: I did finally find a good time for the leek weekend, and used it when I hit that plateau. Hate leeks, but loved them when it was all I could eat for two days. Loved them even better when I lost 3 1/2 pounds in two days. Got me off the spot and feeling like I was moving in the right direction again. After my experience, I would strongly suggest you do the leek weekend only during a time when the second day can be spent in quiet, non-physical pursuits. MY.LUCKY.YEAR: I believe that several people who have done the leek soup weekend noticed it killed cravings. JEMICA: The second time around I struggled a little, but not nearly as much as before. I tried to keep busy with low energy activities such as reading, movie watching, and painting, etc. At the end of those two days when I had my dinner it was I would have to admit the best dinner I have ever had. Everything was so vivid and fresh on my palate. I have also taken on a new appreciation for leeks and eat them frequently. SUBARU: With all this talk about the leek weekend, I can’t wait to do it again! 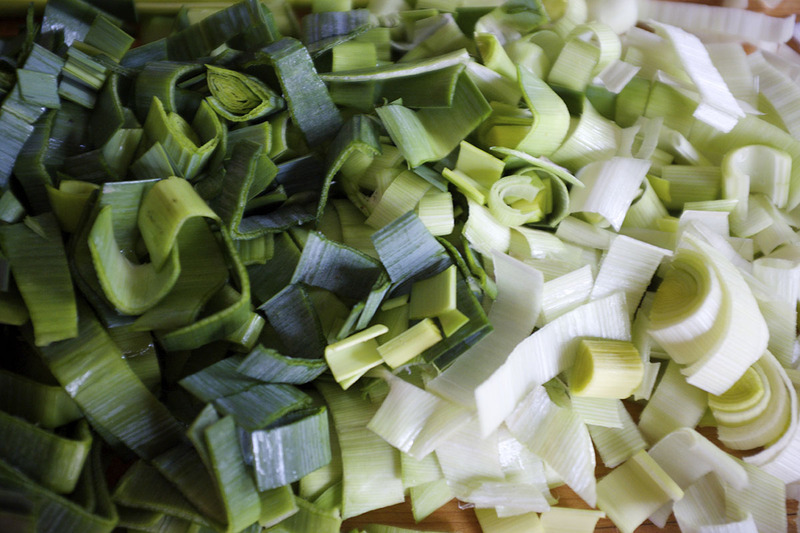 What’s your leek soup story? Tell us!